Linux is a family of open source operating systems that are commonly used to power servers of all types, including web servers. Linux hosting is a type of hosting service which uses one of the Linux distributions as the operating system powering the server. 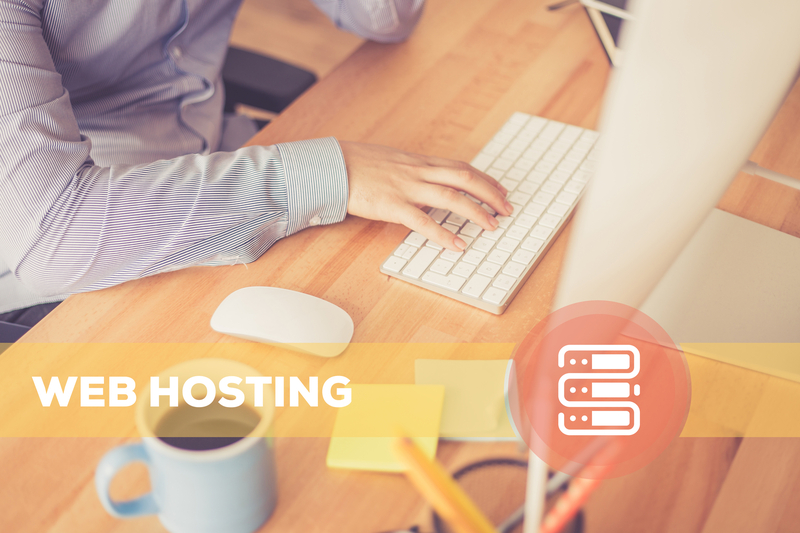 While the term may sometimes be seen when referring to shared hosting, it’s most often seen when describing VPS and dedicated server hosting packages. This is due to the fact that most shared hosting users will be running simple websites that rarely require a specific type of operating system to work. When you choose this option for your server, you will also have to select between one of the Linux distributions, such as Ubuntu, CentOS, Debian and Fedora. All of them operate in a similar way, but have a few differences between them, such as the specific commands used to perform tasks like copying files or installing software. As the Linux distributions are open source, they can be downloaded and installed on a server for free. They are maintained by a community of millions of users from all over the world who work together to make improvements, fix reported issues and release security updates. Windows hosting uses a Microsoft Windows operating system to make the server work. Windows Server operating systems are similar to desktop editions like Windows 7 and 10, offering their users a familiar graphical interface and the ability to run Windows applications. The difference is that Windows Server operating systems come with additional components and features that let the system perform tasks such as hosting web pages or handling multiple email accounts while having the advantage of availability of supporting applications designed to run only on windows. Unlike Linux, all Windows Server versions are commercial products that require licensing for each server that they run on. However, you don’t have to pay for the operating system software upfront, as most web hosting providers simply charge you a small additional monthly fee when you deploy a Windows server. Both operating systems can be used on VPS or dedicated servers which are offered by hosting companies. A website that runs on a Linux or Windows environment will look the same to the end users but still some important differences between the two hosting options that you should consider before choosing one over the other. The Linux family of operating systems is very well known for its superior reliability. This means that you’re less likely to encounter errors and operating system glitches that cause your server to go down. It’s not uncommon to see a Linux-based server that hasn’t been restarted in years. Security is also another important element to consider. While Microsoft has made a lot of progress in making their Windows Server family of operating systems more secure and releases automatic security updates on a regular basis, Linux is still considered by most experts to be the more secure choice. Linux is the most popular choice as far as server operating systems are concerned. While relatively few people who aren’t IT experts use Linux on their personal desktop computers, it powers 70% of web servers around the world. Many web developers are familiar with how Linux works and can set up a web server in just a few minutes. There are also plenty of third-party applications which can be used to customize how a server works. Linux comes with a bit of a learning curve. Most Linux servers are managed through the command line and don’t come with a graphical interface unless you choose to install it. If you’re not familiar with Linux commands, you will have to spend some time going through various tutorials to learn how to perform various tasks like downloading and installing software. On the other hand, if you’re a beginner, you might be looking for a hosting option that is easy to get started with. For those who have never used a VPS or dedicated server before, Windows has the advantage of being easier to work with. When setting up and managing a server running Windows, you can use a remote desktop connection to control the server through a graphical interface that is identical to the one you would see on a desktop computer running Windows. The software you’ll be using to run your website or online applications is the most important factor in selecting between a Linux or Windows web hosting option. If your website was developed using .NET or MSSQL technologies or if you need support for VBScript, you’ll have to use a hosting option that provides you with a Windows operating system. You’ll also need one if you have to run software made by Microsoft as SharePoint or Exchange. But if you simply need a server to run websites and don’t require support for specific Microsoft software, Linux hosting will meet your needs perfectly. The most popular web server software packages, including Apache and NGINX, are made for Linux. So is the cPanel control panel, which provides a web-based interface to manage your web server. It’s perfect for beginners, as it automates several tasks and even lets you quickly install common applications used to run websites, such as WordPress and Joomla. Even though Linux servers are the standard in the web hosting industry, some users may prefer to run a Windows operating system instead. Many beginners who haven’t used a VPS or dedicated server hosting solution before choose to go with Windows Server because of the simpler user interface which is very similar to the desktop edition. The graphical user interface allows a web server to be set up without having to use command line options. Installing software packages that can be used to host a website is also simpler on Windows-based systems. In most cases, all that one needs to do is download the software and run the installer, which automatically performs all necessary tasks, such as ensuring that all operating system components are up-to-date, creating databases, downloading selected add-ons etc. Using Windows hosting also allows you to integrate certain Microsoft applications with your website. You can use Access databases, Active Server Pages (ASP) and applications that run on the .NET framework. There are also many business applications like the Microsoft Exchange email suite, which run on Windows operating systems. Selecting a Linux hosting option comes with several advantages. Linux operating systems are used on most of the world’s web hosting servers for several reasons. Unlike Windows, Linux distributions are available for free, which reduces the costs of hosting websites. Linux-based systems are seen as having less security vulnerabilities and are less likely to experience stability issues. While using a Linux server for the first time does come with a slight learning curve, there are a lot of free informational resources available all over the Internet. You can easily find detailed guides and tutorials that show you how to set up your server and get it ready to host your website. Management tools like cPanel let you manage your website through a graphical interface that can be accessed from your browser. When comparing Linux and Windows as server operating systems, there isn’t one choice that is clearly superior to the other. Both have their unique sets of advantages and disadvantages, which is why you have to carefully consider each option before making a final decision. The hosting option you choose will mainly be based on the technologies you’ll be using to run your website. Most websites will work with the PHP and MySQL scripts and databases supported by Linux. But if you need support for Microsoft technologies like .NET, ASP, Sharepoint and Access databases, you’ll need a server running a compatible Windows operating system. TheEmailShop.co.uk is the hosting company that provides a variety of solutions to individuals and businesses alike. We’ve been around for over 13 years now and offer both options to meet your hosting needs. Whether you want to use a Linux or Windows hosting service, we have a hosting package that is right for you. To find out more about the Linux and Windows hosting options we offer, don’t hesitate to visit our website and contact our sales team by live chat or email.